Fly from Lagos or Abuja. 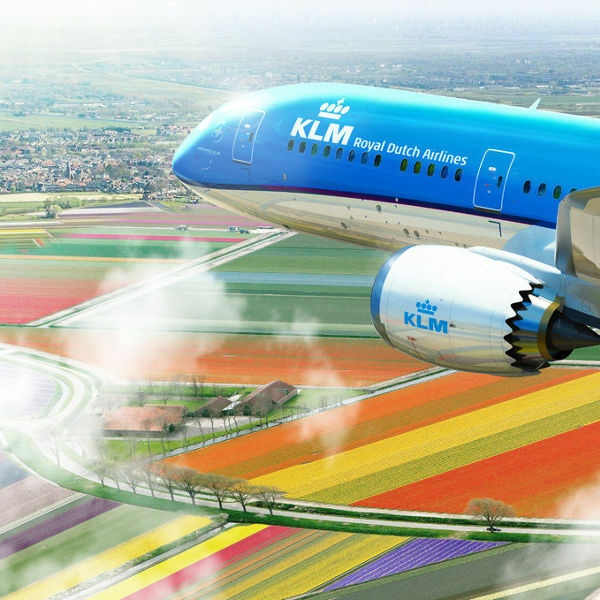 Book cheap KLM flights now! KLM is a SkyTeam partner which is an esteemed global network of airlines collaborating to bring you more comfort and a better travel experience. KLM flies directly to more than 150 countries around the world, which means stress-free travelling and no waiting around. Choose an à la carte meal when booking, from 90 days until 48 hours before departure, or when checking in online between 30 and 24 hours before departure. We are pleased to inform you that KLM Royal Dutch Airlines has been around for 98 years and is, in fact, the oldest international airline still flying under its original name. To add to this already esteemed reputation, Air France and KLM Royal Dutch Airlines joined forces in May 2004, making them the largest European airline group, operating under the KLM Air France name. KLM already has a prominent social media presence encouraging its customers to interact with the brand as often as they need. This is making KLM’s dream of becoming the most customer centric, innovative and efficient European network carrier a very achievable goal. By merging with Air France, it has come to occupy a leading position in the international airline industry. KLM is also committed to sustainable travel, with their work towards actively reducing CO2 emissions awarding the airline “best-in-class” status among all large international airlines for fuel efficiency. At Travelstart, we are proud to associate our brand with this standard of operation, hence why we have made it our duty to source the best KLM flight prices and deals. KLM flies to and from Baltimore-Washington International Airport. Book your cheap flights to Amsterdam, London, Copenhagen and other exciting places! Popular flight routes with KLM are from Lagos to Toronto, Lagos to Kaduna, Lagos to New York, Abuja to Dubai and Lagos to Paris. Additional and overweight luggage incurs an additional charge. Some destinations and flights have different luggage specifications. One piece of carry-on sized luggage and one approved personal item (a purse, briefcase, laptop bag, small backpack, etc.) is allowed for all passengers in all cabins. Together these items are not to exceed 18 kg in Business Class and 12 kg in Economy Class, and should be of the following dimensions: 55 x 35 x 25 cm / 21.7 x 13.8 x 9.9 in (including pockets, wheels and handles). Use the KLM online check-in portal via your computer or smartphone, use an airport kiosk, or visit a service counter in order to check in for your flight. Check in online from 30 hours until one hour before your departure time (or from 24 hours until one hour prior to boarding if you are flying to the U.S.). For some flight routes, you have the option of checking in online and then having an electronic boarding pass sent via email or SMS to your smartphone. The text message or e-mail you receive will include all the flight information and a barcode that you can have scanned at the airport. On almost every intercontinental KLM flight, you will find your seat comes equipped with a personal interactive screen on which to enjoy any of the 1000 hours of entertainment options (movies, TV, music, games). 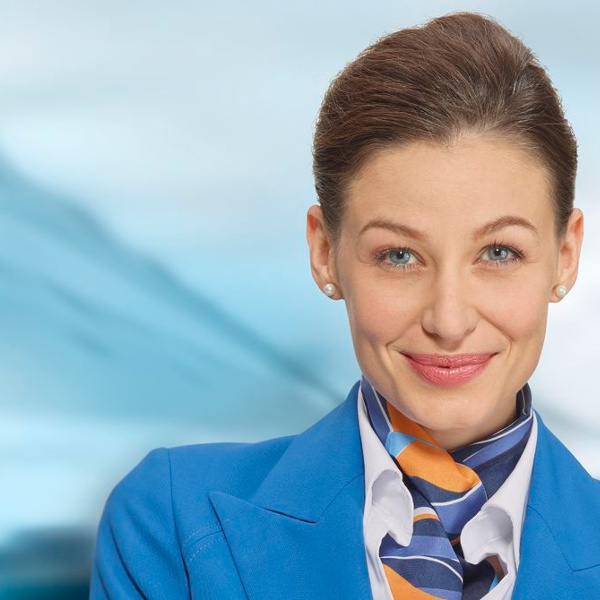 KLM’s selection of over 80 films – including the most recent releases – are updated around the first of every month. KLM currently only offers Wi-Fi on one of its Boeing 777-300 jets as a pilot programme that could be expanded upon in the future. 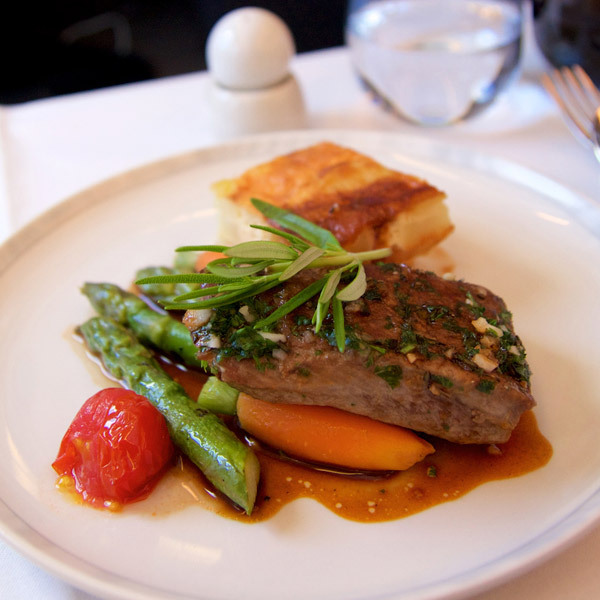 Over and above the chef-prepared in-flight dining, KLM also offer special meals which are free of charge. Make sure to contact the airline until 24 hours (Kosher meals: until 48 hours) before departure. If your flight duration is over 1.5 hours, why not take advantage of the duty-free shopping? Better yet, if you shop online up to 1 – 3 calendar days before departure, you can place your orders and have your parcels delivered to you and avoid having to walk around the airport carrying heavy hand baggage. KLM Royal Dutch Airlines operates a fleet of 113 aircraft with an average age of 9 years flying to more than 90 destinations around the world. KLM Royal Dutch and its SkyTeam partners together to operate flights to more than 520 destinations in over 60 countries on six continents, operating 2100 flights a day. KLM’s world-class fleet of signature blue jets is made up of Airbus, Boeing, and Embrear, Fokker, and McDonnel Douglas aircraft.